Provide comfort for the family of Frank Canale with a meaningful gesture of sympathy. 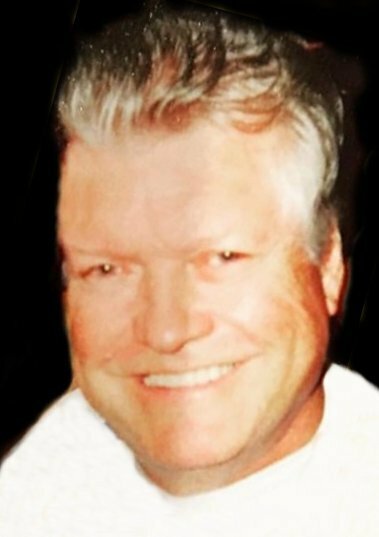 Frank Canale, 74, a life long resident of Egg Harbor Township, passed away at home on Friday, March 29. Frank was predeceased by his parents--Charles and Ruth Canale. He is survived by his wife of 36 years, Linda ; her children Lisa and G. Vincent Torquati; his children, Franklin (Darlene) and Kevin (Alyssa) Canale and their mother, Iris. Frank is leaving behind his beautiful grandchildren, Cody, Kaylee, Brandee and Lyndsee and great grandson, Brayden. Frank is also survived by his brothers--Edward (Charlene), Gary (Roseann) and Charlie (Maryjane). Surviving are his Aunt's Grace Sullivan, Aggie Loflin, Florence Miraglio and Uncle Wesley Leopold; as well as wonderful cousins, nieces and nephews. Frank retired from Marriott Seaview Resort and Country Club. A man of many talents, Frank played bass guitar for The Five Easy Pieces, the house band at Zaberer's Restaurant and shared his showmanship at many other clubs and venues throughout South Jersey. An awesome golfer, he also enjoyed fishing; catching the big one in Florida. He spent many days handicapping the horses from the sofa, hoping to pick the next winner. Frank always was willing to take a chance! He loved the pooches in his life, Elvis and Jersey... In lieu of flowers, the family is requesting donations to the Atlantic County Animal Shelter, 240 Old Turnpike, Pleasantville, NJ 08232. A Visitation will be held on Monday, April 8, 2019 from 6pm til 7:30pm at Adams-Perfect Funeral Home 1650 New Road, Northfield. A Service will follow at 7:30pm. Linda and Family, sending our deepest sympathy and prayers. We will surely miss that smiling face and friendly hello! He was the best neighbor anyone could ever have! His kindness to my kids and I will never be forgotten! Extending our warmest condolences to the family. Praying for peace and comfort. My prayers and condolences go out to all the families. Linda, We will both miss Frank. Ron knew him well from the days he played with the Five Easy Pieces at the Melody Lounge in AC a long time ago. So sorry for your loss. You and your family are in our prayers. We are in Florida and just heard about Frank, again so sorry. We cannot be there with you.